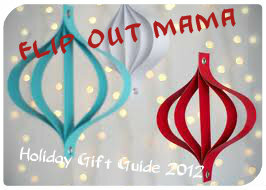 Flip Out Mama: Hot Gift! Boxes By Annette! Happy Monday everyone! Today's hot gift is one of my very favorites! You guys know how much I love unique, handmade gifts as a way to show someone how much you care.. It just seems so much more heartfelt than just picking something up off the shelf at a store.. That is why when I ran across Boxes By Annette's Etsy Shop, I knew these gifts had to go in our Holiday Gift Guide! 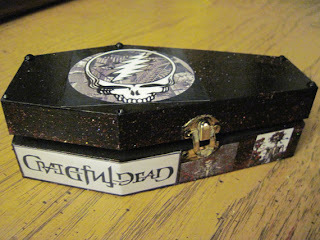 Boxes By Annette specializes in unique, hand crafted decoupaged trinket boxes! These things are so cool, I can't even tell you! The really cool thing about Annette's boxes is that they are customized to the recipient, so you can get one that fits your loved ones personality to a tee! 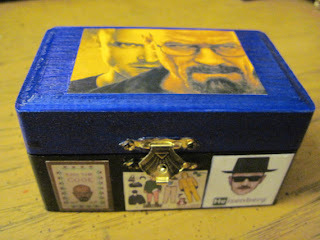 I received an awesome Breaking Bad trinket box in honor of my "most favoritest" show ever! I love it! 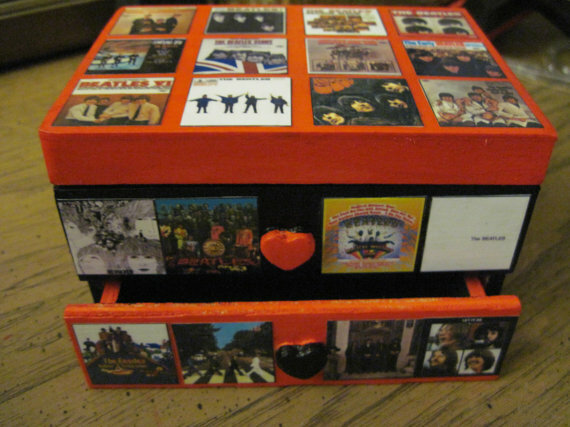 How about a Beatles box? I also love this Grateful Dead box! The cool thing about Annette's shop is that if you are in the USA, she offers FREE SHIPPING! If you are anywhere else worldwide, the shipping charge is $19.99, but Annette refunds anything over the shipping amount, so you just pay whatever shipping costs! How awesome! I love supporting small businesses and especially handmade products, since they have so much heart that goes into making each one! If you are looking for the perfect gift, go check out Boxes By Annette here!